it restarts and then as its going to the recovery rom, I get a phone and a red ? You are almost there... at that screen with the red ? ..hold VOL UP and POWER and then you should get another menu and then select flash update.zip or whatever it is and it will fake flash and wala....recovery menu. ok so i have omj's version 2 rom but i want to install version 3 do i just run rom manager or do i have to do something different? This works great for Custom ROM to Custom ROM. Not so great on rooted Stock ROM. For that stick with the manual recovery method. FastRX8 has updated his original thread and his videos. You can do it from ROM Manager. This is how I went from OMJ 1.2 to 1.3. It was flawless. 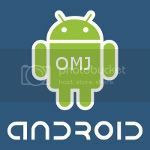 Put the OMJ 2.1 v1.3 zip on your SD. Use ROM Manager to boot into Recovery. If you dont have a backup-then backup v1.2--just in case. Select nandroid. Wipe 2X-data/factory reset. I'm conservative here-the update from 1.2 to 1.3 was small so you'd probably be safe without wiping. Your call. I re-wrote the instructions in post #1 because the program pretty much does everything for you now. There is requirements for it to work correctly too.